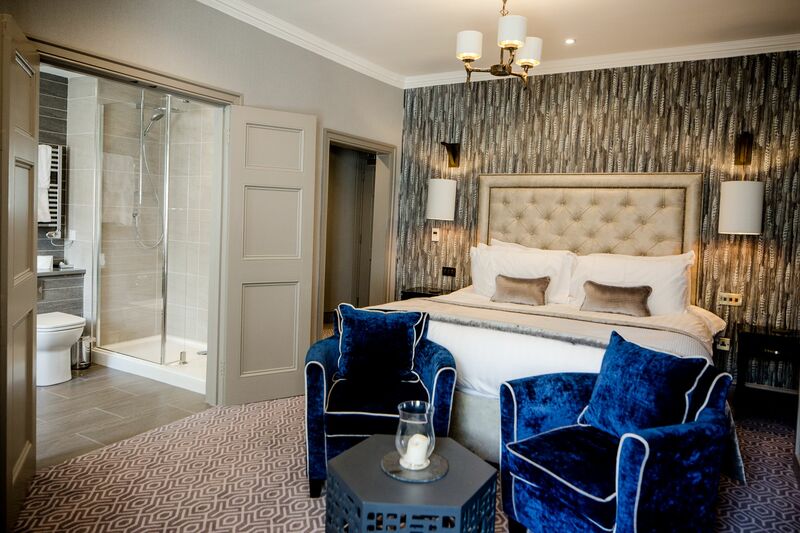 Gretna Hall Hotel gets a whole new look! 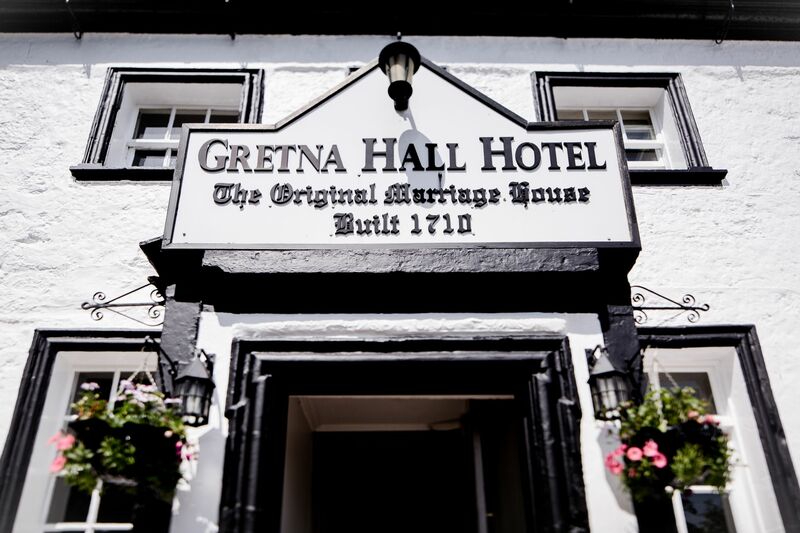 Gretna Hall has stood in the heart of Gretna Green village for over 300 years, made famous for hosting a series of high profile aristocratic marriages in the 1800s. On 12th August 2016, the building was acquired by Gretna Green Ltd, a family run business since 1885, and a full rebrand and renovation of the historic building carried out. 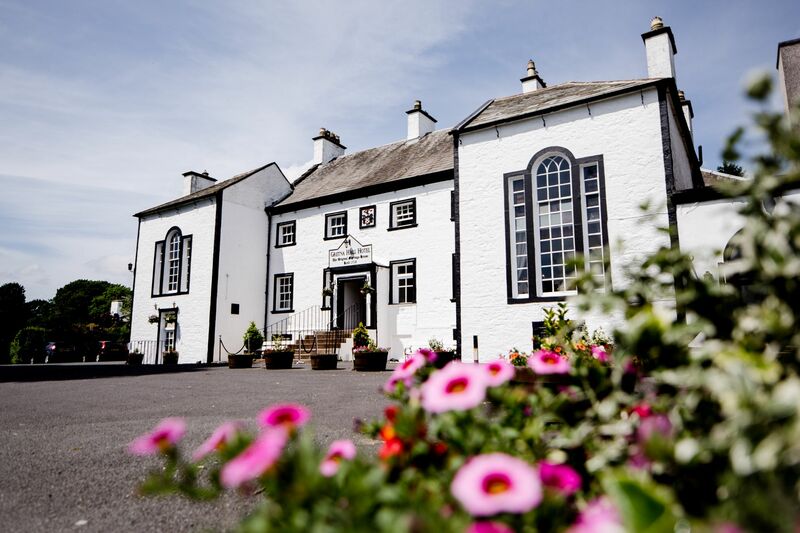 Originally built in 1710 as a private manor house, Gretna Hall is set in 10 acres of beautiful gardens; the property boasts a total of 97 bedrooms and now offers all the character of a substantial historical building, with the comfort you would expect from a contemporary hotel. Alasdair Houston, Chairman of Gretna Green Ltd, worked with award-winning, Carlisle based firm, Unwin Jones Partnership to create a contemporary environment, with modern amenities and public areas while remaining sensitive to the original building. The interior design is a modern interpretation of a Scottish manor house. 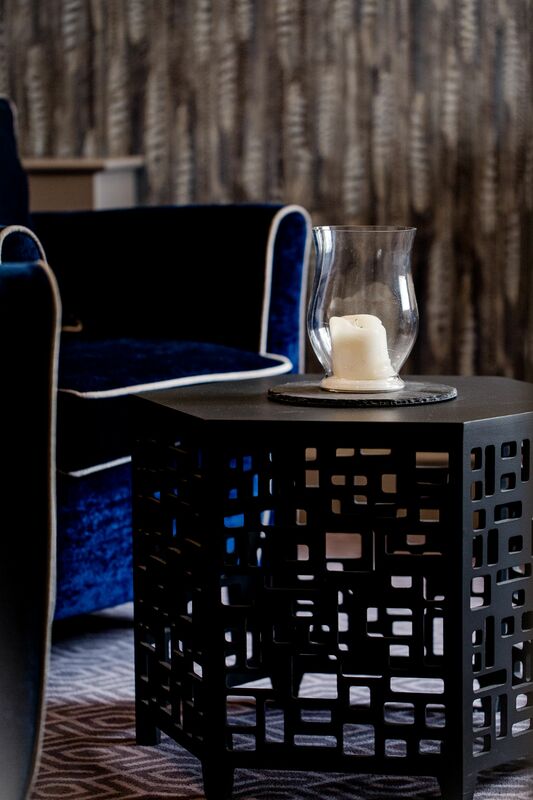 Using eclectic design shapes, plaid and plain fabric of various textures and a colour palette inspired by the Scottish countryside, the result is a comfortable and luxurious setting. 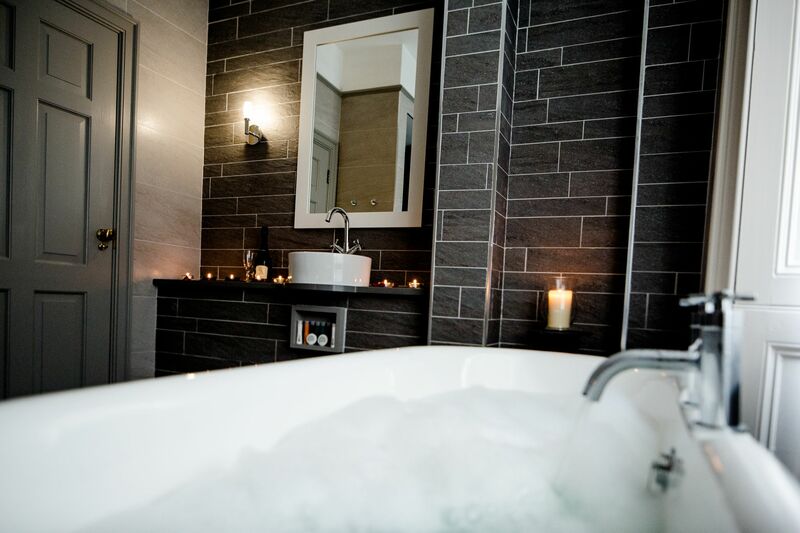 Individually designed bedroom suites featuring luxury amenities. Interior design elements including new furniture, wallpaper, carpeting, and lighting in all suites and public areas. Bespoke artwork featuring photographs, messages and historical images of the building, its visitors and romantic past. Bespoke wallpaper inspired by the countless handwritten love notes and marriage proposals sent to the property through the ages. Completely updated dining room and bar, offering flexible space throughout. 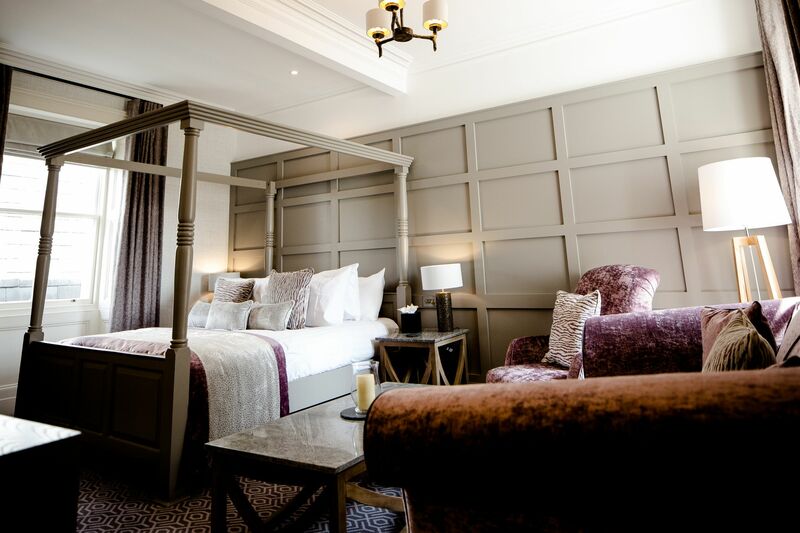 The original house now offers five individually designed bedroom suites, all named after famous aristocratic couples who wed at Gretna Hall during the 1800s. More information about Gretna Hall Hotel can be found here.